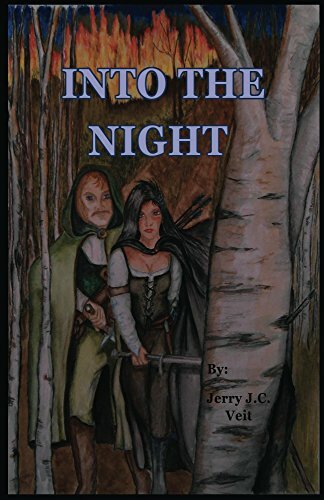 Into the Night, by Jerry J.C. Veit, is a play featuring an unlikely pairing of main characters who have set out on a journey together to battle the barbarians making their own way across the countryside. While on their mission, Samuel and Valencia are simultaneously fighting to save themselves from two ruthless vampires hellbent on destroying them both. Valencia’s past with Isabella, one of the vampires pursuing them, her knowledge of vampires and their habits, and her well-honed fighting skills drive her desire to set out on this dangerous trek across the English countryside. Samuel, unknowingly, has agreed to a trip that will change the course of his life. This piece by Jerry Veit reads smoothly and much more like a narrative than a play. In fact, I found myself often forgetting that I was indeed reading a drama rather than a fantasy in narrative form. Veit has included a good bit of narrative which helps to set extremely vivid scenes and helps the reader visualize the intensity of the protagonists’ multiple encounters with the vampires and the barbarians. As for the two different plot lines within the play, I found the vampires’ appearances throughout the story to be somewhat less than I had expected. The bulk of their interactions seem to be at the beginning of the play. I was much more interested in the plot involving our heroes and the vile vampires, Isabella and Cerbera. Though the barbarians involvement in the plot was important, well-drawn out, and wrapped up neatly, I would have preferred to have read less of the main characters’ plight with them. Regarding the author’s style and chosen genre for this story, I felt it would have read wonderfully as a novel. Veit is adept at writing narrative description of time and place. He also gives his characters memorable lines, both dramatic and comedic. This work could translate easily to stage or to a full-length novel. I would love to see more of the pairing of Samuel and Valencia. Valencia herself is an enigma, and Veit has written her character amazingly well. His introduction of her in Act I leads the reader down a path of assumptions about both her nature and her abilities. Veit works her expertise with weaponry into the plot in a satisfying fashion leaving no room for doubt about her from that point on in the plot. As the reader, I was as surprised as Samuel to find her so skilled and, later, to discover the reasons behind her competence in battle. Without giving away too much of the play, I must comment on the conclusion. Being one of the readers wrapped up in the parallel story line involving Samuel and Valencia, I would like to have read more about the search for Samuel in the last act. I won’t say more. (Readers will know what I mean.) It has the makings of a strong act of its own leading to the conclusion. I give Into the Night, by Jerry J.C. Veit, 5 out of 5 stars. I am not one to enjoy plays, but as I said, this one reads more like a narrative and has all the hallmarks of a vivid, well-thought through, detailed fantasy. 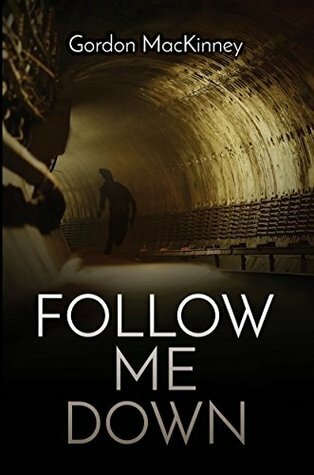 Veit has managed to set his story in England in the 1300’s, giving readers who prefer that historical feel to their vampire tales something in which to revel. His characters, both heroes and villains, are memorable and leave the reader wishing for more–always the true sign of great work. In this delightfully imaginative tale, two children, Chris and Kate, find a log of driftwood on the beach. They decide to build a boat and sail across the ocean. 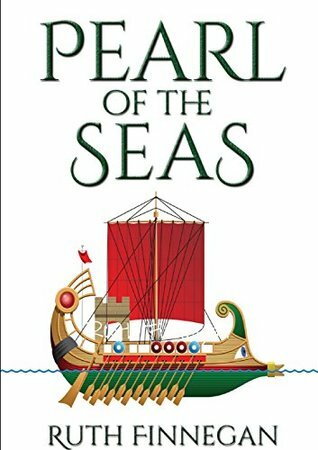 Whether by magic or imagination, the two friends and their little dog Holly build their ship, name it the Pearl of the Seas, and begin their journey. Like any fairy tale, there are obstacles to overcome, dangers to face, and kind strangers to help them along their way. They rely on friendship, faith, and kindness to see them home to a happy ending. Poems in traditional form are often combined with the prose. Finnegan creates a language that can take some time to get used to the unusual sentence structure and sing-song pattern of the words. In some passages, the child-like way of chaining words together lends an air of playfulness. Since readers (especially young readers) may be inspired to learn more about the poetry and prose of the book, the author includes a section of notes at the end. She offers more information about key phrases and events, poetic references, and the inspiration for some of the key events in the story. I found this to be a big help in deciphering some of the words and concepts of the book. The characters are charming. Kate and Chris have their own problems in the real world. Kate is perplexed by math and the nuns who teach her; Chris has lost his mother and is being raised by a foster father. Holly, the dog, finds every opportunity for danger and gives both children a chance to play hero and rescue her. Once they’re sailing the sea of dreams, they meet Yahwiel with his riddles, as well as the benevolent King and Queen who live on an Eden-like island. These characters all have an air of the divine, and the lessons they teach are steeped in the Christian faith. If you’re looking for a unique book for a young reader or a short chapter book to read to very young children, Pearl of the Seas is a unique story that goes beyond mere entertainment. It’s an excellent introduction to poetry, classic literature, and imagination.